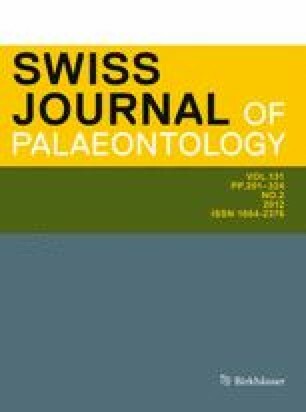 The fossil record of phiomorph hystricognathous rodents from the Afro-Arabian Paleogene is important for understanding the origins and dispersal routes of the early crown hystricognaths. Here, we describe a “new” basal phiomorph genus and species, Acritophiomys bowni, based on complete upper and lower dentitions, mandibular fragments, and partial crania from the terminal late Eocene (~34 Ma) Locality 41 (L-41) in the Fayum Depression of northern Egypt. Acritophiomys bowni is the oldest and largest representative of the family “Phiomyidae”, being more or less the same size as contemporaneous gaudeamurids, and is one of the most abundant hystricognaths at L-41. The genus exhibits a mosaic of primitive and derived features, the former shared with primitive hystricognaths, such as Waslamys and Protophiomys from the earliest late Eocene, and the latter shared with Metaphiomys from early Oligocene (~31–29 Ma) sites in the upper sequence of the Jebel Qatrani Formation. Phylogenetic analysis of craniodental features, scored across a number of different hystricognathous groups, consistently places Acritophiomys bowni and members of the genus Phiomys as basal members of the phiomorph stem lineage, implying that the commonly used family “Phiomyidae” is a paraphyletic assemblage. Among other things, this material shows that basal members of the phiomorph clade consistently replaced dP4/4 with permanent P4/4, and suggests an African origin of stem and crown Phiomorpha. Recent palaeontological fieldwork in the Fayum area has been funded by U.S. National Science Foundation grants BCS-0416164 to E.L.S. and E.R.S. and BCS-0819186 to E.R.S. Additional funding was provided by Gordon and Ann Getty, The Research Foundation of S.U.N.Y., and by grants from The Leakey Foundation to E.R.S. H.M.S. was funded by a scholarship from the Egyptian Government and a Baldwin Fellowship from The Leakey Foundation. M. Shahin assisted with phylogenetic analyses. J. Groenke and V. Heisey (Stony Brook University) assisted with preparation. We thank the staff of the Egyptian Mineral Resources Authority and the Egyptian Geological Survey for facilitating our work in the Fayum area. Fieldwork in Egypt was managed by P. Chatrath (Duke Lemur Center). We also thank P. Holroyd for her earlier work on Fayum rodents. We thank H. De Bruijn and L. Marivaux for casts. This is Duke Lemur Center publication number 1216. Antoine, P., Marivaux, L., Croft, D. A., Billet, G., Ganerød, M., Jaramillo, C., et al. (2011). Middle Eocene rodents from Peruvian Amazonia reveal the pattern and timing of caviomorph origins and biogeography. Proceedings of the Royal Society B. doi: 10.1098/rspb.2011.1732. Sallam, H. M., Seiffert, E. R., Simons, E. L. (2011). Craniodental morphology and systematics of a new family of Hystricognathous Rodents (Gaudeamuridae) from the Late Eocene and Early Oligocene of Egypt. PLoS ONE 6(2). doi: 10.1371/journal.pone.0016525.